In 2015, development cooperation and humanitarian assistance received an unprecedented amount of attention. In spring the ground shook in Nepal with devastating consequences. Early summer the Finnish government announced it was making severe cuts in development cooperation funding. Autumn came with news of the distress of people fleeing to Europe and of the rising numbers of refugees. 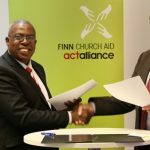 Finn Church Aid (FCA) responded by taking an active role in public discussion on the effects of development cooperation cutbacks and the rights of asylum seekers. Cuts in funding forced FCA to end some development projects, close down one field office and lay off some personnel. We were forced to completely close down our operations in five countries. Yet the need for aid is greater than ever. What is needed is an even stronger investment in developing and stabilising the countries of origin of refugees. It was not all bad, though. The government’s decision to invest in the development of the private sector in developing countries opened up possibilities for non-governmental organisations to develop new funding and operating channels. FCA accepted the challenge and initiated a new type of investment fund to support small and medium sized enterprise in developing countries. Asylum seekers took Finland and the rest of Europe by surprise. 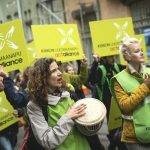 The arrival of approximately 35,000 asylum seekers in Finland inspired people to volunteer and offer their help, but unfortunately raised hate speech and opposition as well. Finn Church Aid restarted operations in Europe and Finland. 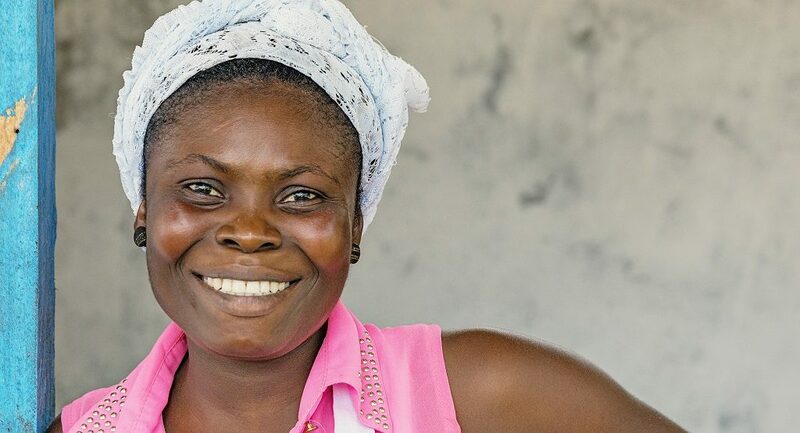 Once again Finn Church Aid’s operations in its programme countries received plenty of recognition from rights-holders, national officials and donors. In Nepal, FCA’s rapid response in building temporary learning spaces for 20,000 pupils received a lot of attention. In Somalia we were involved in 36 regional peace processes and had a significant role in the creation of the Central Regions State. 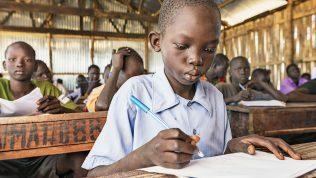 In Uganda we began providing special needs education for disabled refugee children and opened a vocational school for refugee youths. 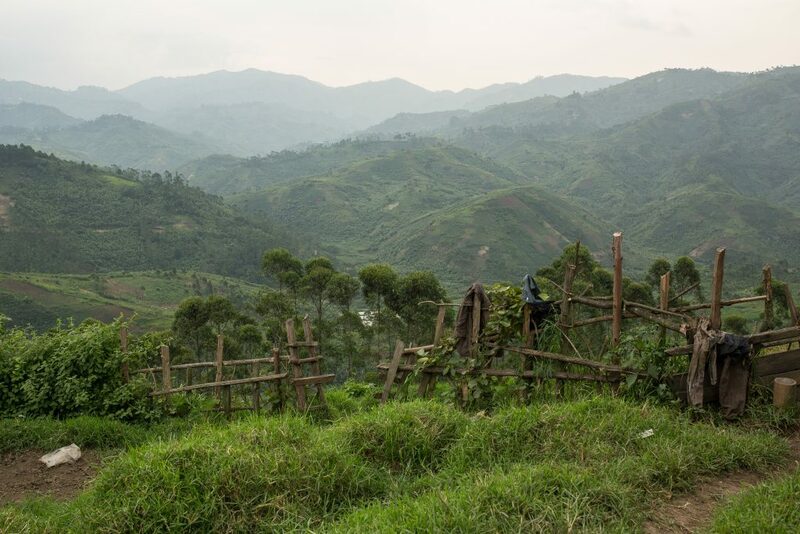 Following our strategy we operate in fragile countries and challenging contexts. We often operate in countries where other actors and organisations are all but absent. Our staff members deserve praise for our accomplishments. We also wish to sincerely thank all our donors and all volunteers in our networks. 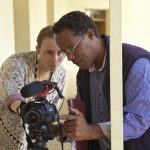 Finn Church Aid expands its operations to Eritrea and begins working in the two teacher education colleges in the country. We start supporting the design of new curricula, research practices and teaching methods in the colleges. Initiatives such as Action Research, Pedagogical Forums and Study Circles, spark enthusiasm for the teaching profession among Eritrean youth and boost teacher educators’ professional identity in a country that is in dire need of qualified teachers. FCA pilots the first ever Career Counseling Training for teachers in Cambodia. A seven-month programme for teachers in Lower Secondary School in the Battambang region is carried out by two volunteers from the Teachers without Borders (TwB) network in collaboration with the Ministry of Education, Youth and Sport (MoEYS). 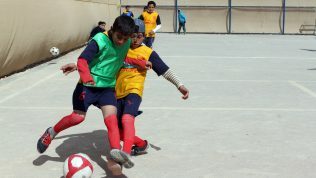 FCA starts its campaign against violent radicalisation, as well as the football team titled Peace United, with the aim of promoting models to prevent marginalisation and conflicts among refugee youth. 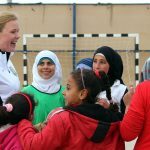 As a part of the campaign, footballers Laura Österberg Kalmari and Aki Riihilahti, and journalist Kaj Kunnas visit the Zaatari refugee camp in Jordan in order to help FCA launch Peace United and raise awareness of the Middle East refugee crisis in Finland. On 25 April, a 7.8 magnitude earthquake hits Nepal. FCA starts its response immediately, distributing food packs, shelter materials and non-food items. Education in Emergencies interventions also begin. The response efforts result in the construction of 153 temporary school buildings to which FCA distributes learning and teaching materials. Teacher training is also organised in teaching methods and psychosocial support. Finn Church Aid communications get the highest overall grade in a study by the market research company Taloustutkimus evaluating NGO communications in Finland. 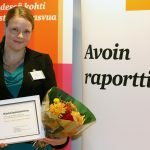 FCA also gets a commendation on open reporting for its Annual Report 2014 in the contest for large organisations and foundations organised by the professional services organisation PwC Finland. Finland’s newly elected Government decides to reduce Official Development Aid by 43% in 2016. FCA advocates intensively for Finland to bear its international responsibility. 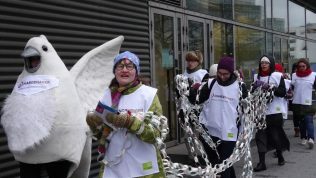 Together with other Finnish NGOs, we collect over 40,000 signatures objecting to the steep cuts and organise a joined demonstration. 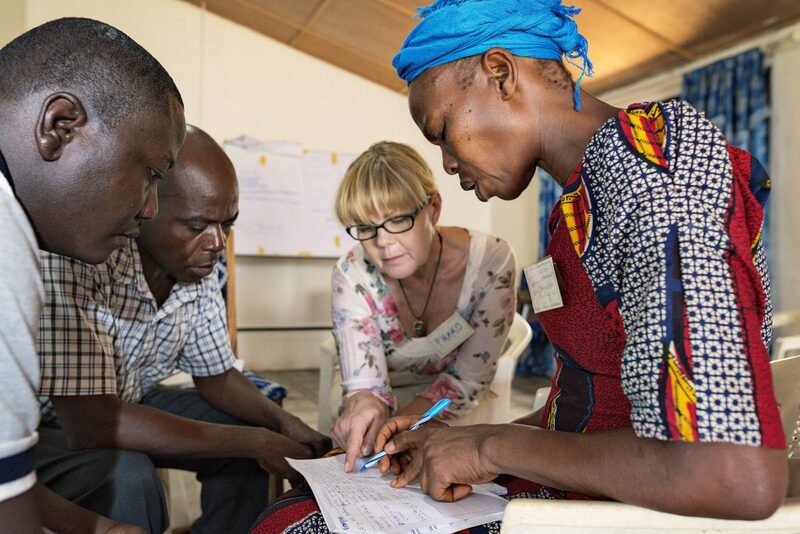 FCA participates in the design of a new training course on women’s rights advocacy in Faith Based Organisations in collaboration with the Lutheran World Federation (LWF). 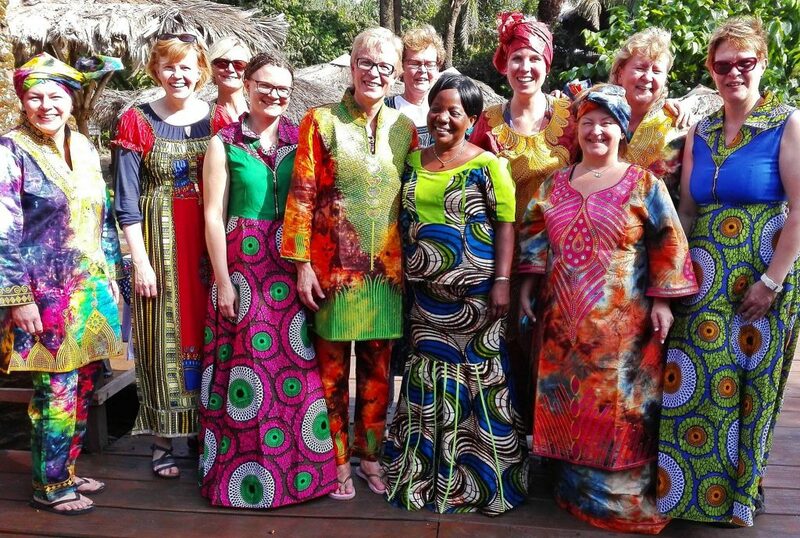 Other partners involved are World Council of Churches (WCC), World Young Women’s Christian Association and ACT Alliance. FCA sponsors participants from our partner organisations from Haiti, the Democratic Republic of the Congo, Liberia, Nepal and FCA staff participants from Uganda and Nepal. The refugee crisis in Europe escalates and through its ACT Alliance partners in Greece, Hungary and Serbia FCA provides humanitarian assistance including food, shelter, necessary non-food items and clean water to the refugees. FCA urges the EU to put in place policies and mechanisms that effectively guarantee that the human rights of refugees, and the obligations and responsibilities enshrined in EU and international law are respected and that ensure solidarity between Member States. The Minister of National and Technical Education in the Central African Republic, Mr Elois Anguimate visits FCA and a number of Finnish education sector stakeholders and representatives in Finland. FCA and MENET sign an MOU, a bilateral agreement that lists possible future shared initiatives between FCA and MENET that will aim to promote access to and quality of education in CAR. 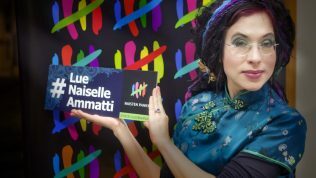 FCA and the Network for Religious and Traditional Peacemakers engage in collaboration with service provider company Luona Ltd., to work with reception centres and asylum seekers in Finland. Focus is to engage local and religious communities from the nearby areas to support the asylum seekers and to facilitate positive interaction and engagement of local community. 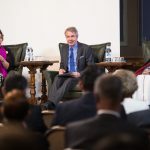 The world’s most prominent experts in peace and reconciliation gather in Helsinki for the second conference on Non-Formal Dialogue Processes and National dialogues . The conference offers a platform for communities suffering from conflict and communities in a state of change to discuss the best ways of supporting national peace processes. FCA takes its first steps in launching a complaints system in 2015. Through the system we strive to ensure our stakeholders’ right to issue a complaint and receive response . 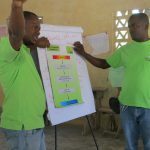 FCA offices in Haiti and Somalia pilot the system, and a contextualised version is designed by the staff after receiving training on complaints handling. Despite cuts in development funding, 2015 was the best year so far for FCA in terms of economic resources. Government cuts in funding will take effect in 2016, and development continued favourable in terms of all other economic resources. Cooperation with international donors continued and was expanded. The deficit for 2015 was €109,000, and equity at the end of the year was €5.9 million*. Current receivables totalled €1.5 million and current liabilities €15.4 million. Of this total sum, €3.9 million were targeted donations for disaster and reconstruction work and for Women’s Bank, while €9.3 million were advance payments from different donors. Total revenue for the financial period stood at €42.7 million (€33.9 million in the previous financial period), which represents a 16.4 per cent increase from the previous year. Revenue from fundraising activities was €47.3 million. In 2015, Finn Church Aid spent €42.6 million in international aid and domestic operations. Operational expenses rose by 15 per cent from the previous year. Expenses for aid activities totalled €36.4 million, including €3.4 million for the planning and monitoring of programmes. Expenses for support functions for aid activities, general administration and fundraising were €6.2 million. Internal auditing is independent and objective evaluation, monitoring and consultation that adds value to Finn Church Aid and improves its operation. Internal auditing supports FCA and its higher executives to achieve their goals by providing a systematic approach to evaluating and developing the organisation’s monitoring, management and administrative processes as well as the effectiveness of risk management. Changes in global development architecture will greatly affect operations in the coming years. New forms of operating and new financing instruments must be found. For example, strong prioritisation of private sector funding in certain countries will continue and be expanded. 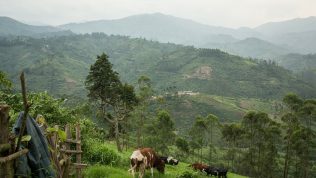 Through its operation FCA must be able to express its clear added value and its experience of operating in developing countries, particularly in fragile contexts. In 2015, FCA carried out a periodical evaluation of its current strategy and launched the design process of its new strategy. The new strategy will be put into effect in 2017. Both the periodical evaluation and the ongoing design process have shown that thematic specialisation of FCA will continue. In addition to permanent programme countries, FCA must be able to adjust to changes thematically, geographically and organisationally. In 2015, FCA’s theme was refined into Right to quality education. FCA has developed and implemented policies that allow us to ensure that the quality of education is developed while access to education is secured. 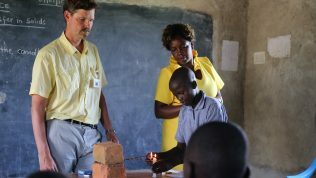 Teacher training is one of the most important ways of improving the quality of education. The training given to teachers in a crisis focused mainly on psychosocial support as part of school work and on the use of learner-centred teaching methods. 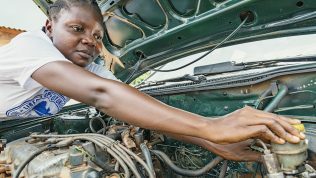 FCA has also continued to develop vocational training. The primary target groups have been the youth and women. Career counselling and practical training at work are included in the projects. Cooperation with employers is deepened and employment opportunities are actively sought. A pilot project mapping the possibilities of business cooperation was started in 2015 in Uganda. Support to the education sector of fragile states was continued, particularly in Eritrea, Central African Republic, Cambodia and Haiti. There is an obvious need to develop vocational education alongside primary education. 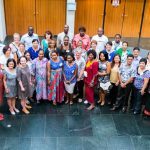 FCA works increasingly in cooperation with education ministries in the countries of operation and supports the development of education sectors on a national level. For example in Eritrea our work focused on developing teacher training with three Finnish universities. Education sector development moved ahead also in Haiti, Cambodia, Nepal and Central African Republic. 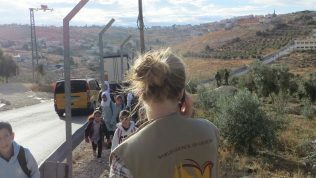 Dozens of volunteers from the Teachers Without Borders network participated in humanitarian and development projects. Opening temporary schools and designing and building disaster resilient schools in disaster prone regions continues to be a central element of FCA’s humanitarian work in Central African Republic and Nepal. 16 permanent classrooms, each with capacity for 40 students, were completed in Haiti. 170 temporary learning centres with 330 classrooms in Nepal. 81,000 students facilitated to early childhood development, primary and secondary education, of which 2,500 were vocational education students. In 2015, FCA’s peacework achieved good results on the global level, but also on the local and national levels. Concrete results in the form of peace agreements and reconciliation processes were achieved particularly in South Sudan, Kenya, Somaliland, Puntland and the Central African Republic. For example, FCA facilitated the formation of a federal state in the Central regions of Somalia. Cooperation with the Somali diaspora and success in employing staff members with various backgrounds has been essential in achieving these successes. The Network for Religious and Traditional Peacemakers that was founded on the UN’s initiative, expanded its operations in 2015. 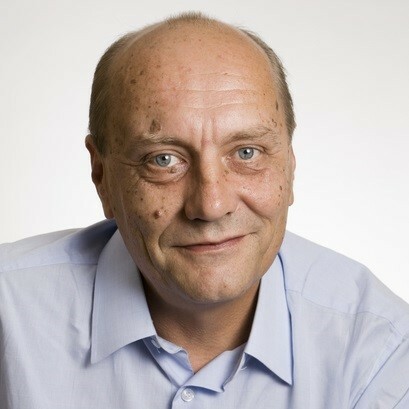 Finn Church Aid operates as the secretariat of the network. Key actors in the field have joined the network and subsequently expectations for it are beginning to rise. Both the Finnish Foreign Minister and the UN Secretary-General emphasised the positive significance of the network. The secretariat is working mostly on the challenges of violent extremism and supporting peacework on the field. The secretariat also strengthens the role of women and youth on religion- and peace-related issues. 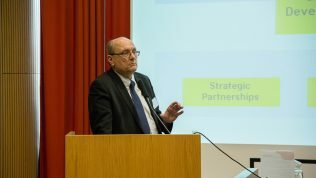 In December 2015, the secretariat of the network teamed with the Swiss Federal Department of Foreign Affairs to organise the first Religions and peace mediation training, exclusively intended for UN personnel. The training was extremely well received and the concept will be developed further in 2016. In addition, cooperation with the Finnish Ministry of the Interior to prevent violent extremism continued. 210 young people in Cambodia joined the Changemaker network and increased their capacities in democratic participation. 1,630 women have been involved in initiatives to advocate for just peace in Palestine. 9 regional peace agreements negotiated in five counties of Kenya, with religious or traditional leaders successfully involved. Emphasis of the work is shifting towards cooperatives and promotion of youth and female entrepreneurship. 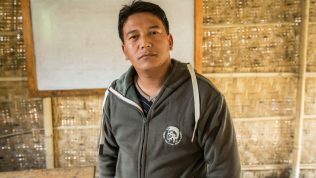 In the Asian countries of Cambodia, Myanmar and Nepal we invested heavily in developing livelihood and small-scale entrepreneurship in rural areas. Key tools were cooperatives, and the work primarily targeted women. The youth are also becoming important targets for livelihood projects. Supporting employment and small scale entrepreneurship after vocational education is an effective way to link learning to earning. In 2015, this kind of support was developed for example in Uganda and the Eastern part of the Democratic Republic of the Congo. Investment in female entrepreneurship continued and took new forms; a Skills Donation and mentoring project designed with the Women’s Bank development team will start in 2016. FCA operates in regions that are vulnerable to natural disasters and conflicts, which became evident again in 2015. Ebola epidemic in West Africa, unrest in South Sudan and the earthquake in Nepal among others caused human suffering and/or material damage, eroded people’s basic livelihood and interrupted the implementation of projects. This manifests as an increased need to combine aspects of humanitarian and development work, to secure livelihoods and rapid recovery even in crises. 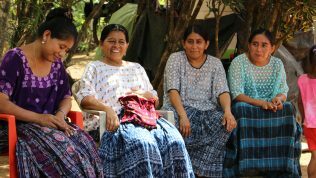 700 grassroots savings and credit groups and credit cooperatives with 45,000 members globally, 70 per cent of whom were women. 1,200 FCA contributed to the development of different community-based structures ranging from committees managing common water resources to seed banks and cooperatives. FCA’s rapid and efficient construction of temporary learning spaces was praised in Nepal. The earthquakes, strongest in history, that took place in Nepal in April and May resulted not only in the destruction of almost one million homes, but also of four thousand school buildings. Since it is important for children to return to school as quickly as possible after a major disaster, FCA set out to construct temporary learning spaces to disaster-affected regions. The material of choice was locally available bamboo. FCA constructed safe, bamboo-framed learning spaces for nearly 20,000 children in Nepal within a couple of months after the earthquakes. The schools were complemented, where needed, with latrines and hand-washing facilities. The temporary learning spaces were designed in a way that allowed the students and teachers, still in fear of new earthquakes, to feel safe while working in them. The construction had its share of challenges. Aftershocks regularly shook Nepal. Landslides affected traffic and the transportation of building materials. Since most of the schools were located in remote, mountainous regions the only way to transport building materials was by carriers. 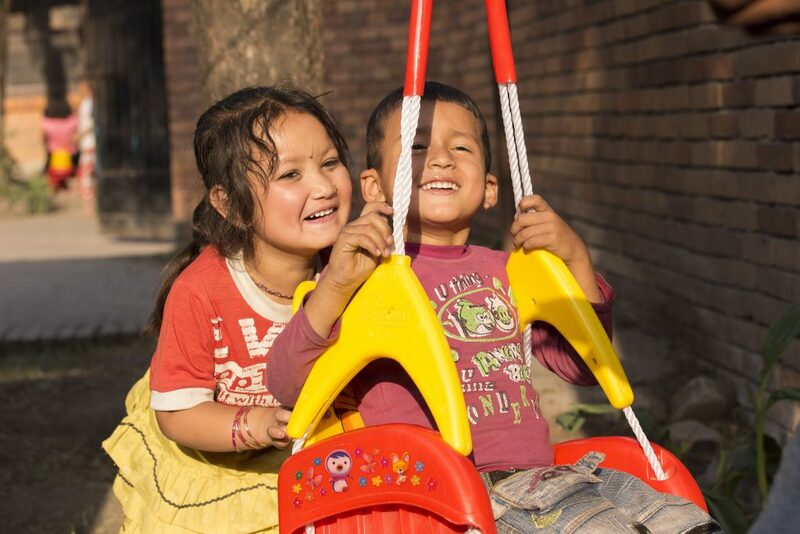 Psychosocial support is just as important to earthquake survivors as a safe learning environment. Local teachers were given training on the use of UNICEF teaching materials and on how to provide initial stage psychosocial support. In cooperation with Nepalese education officials, FCA also organised refresher training for teachers to help them handle the post-earthquake situation. Finn Church Aid built livelihood resilience of returnees and local residents in the severely affected conflict area of Pibor County in Jonglei State, South Sudan. In the first phase, emergency food supplies, non-food items, seeds and agricultural tools were provided with limited agricultural training. In the second phase, twenty farmer field schools were established. 300 farmers were provided with on-the-job training in good agricultural techniques to strengthen their capacity to produce food and ensure sustainability even during drought or floods. Finn Church Aid provided humanitarian assistance to refugees in Hungary, Serbia and Greece. Donations allowed us to build latrines and showers, and distribute blankets, dry goods, water, milk for children, underwear packages, winter clothing and winter shoes. 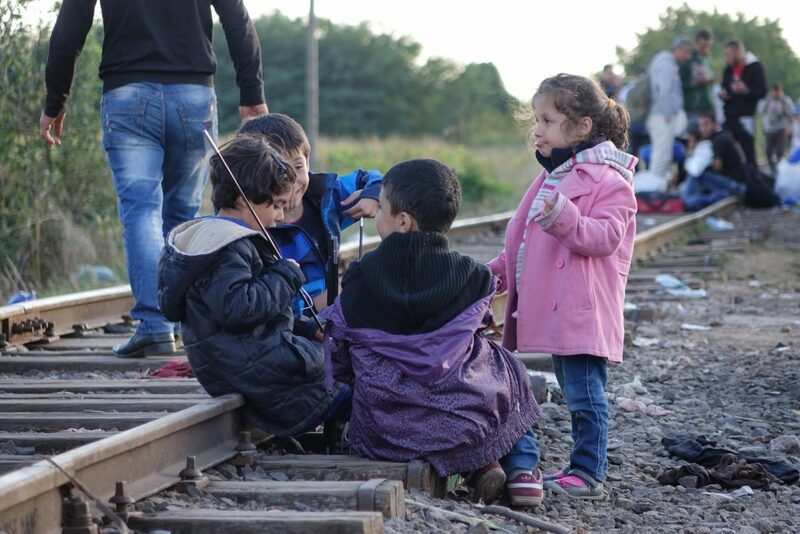 Refugees in Europe were assisted through three partner organisations: Hungarian Interchurch Aid in Hungary, Philanthropy in Serbia, and Apostoli in Greece.